Three-valued models and logics have been recently advocated as being more suitable to reason about automatically-generated abstractions of reactive systems than traditional “2-valued” models such as standard Kripke structures or Labeled Transition Systems. 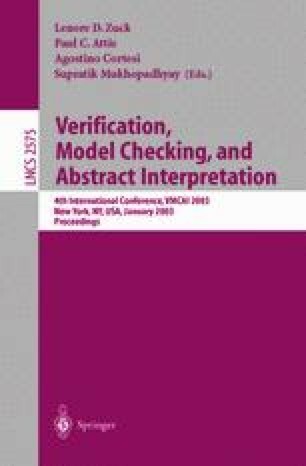 Indeed, abstractions specified in 3-valued models are able to distinguish properties that are true, false and unknown of the concrete system, and hence their analysis can yield correctness proofs and counter-examples that can be both guaranteed to be sound. In this paper, we study several 3-valued modeling formalisms proposed in the literature and show that they have the same expressiveness, in the sense that any model specified in any of these formalisms can be translated into a model specified in any other. We also show that the complexity of the model checking and generalized model checking problems does not change from one formalism to the other. Supported in part by NSF grants CCR 99010171 and CCR 02030716.